The New England Patriots won a landmark fifth Super Bowl with a 34-28 victory against the Atlanta Falcons in a game in which they were trailing by 25 points at one stage. The Falcons raced to a 28-3 lead their meeting with New England in Houston, Texas, but the Patriots refused to surrender, replying with 25 unanswered points through quarterback Tom Brady that took the game into the Super Bowl’s first ever overtime period. Despite trailing 28-9 at the beginning of the fourth quarter, the Patriots tied the game at 28-28 when Brady found Danny Amendola for a successful two-point conversion following an incredible 91-yard drive. The game was eventually won by James White’s two-yard touchdown run to hand the Patriots their fifth Super Bowl victory in 15 years at NRG Stadium. Brady received his fifth Super Bowl ring and was named the Super Bowl’s Most Valuable Player (MVP) for a record fourth time. “Two years ago, we won our fourth Super Bowl down In Arizona. I told our fans that was the sweetest one of all. But a lot has transpired during the last two years. I don’t think that needs any explanation,” Kraft said upon being handed the Vince Lombardi Trophy. 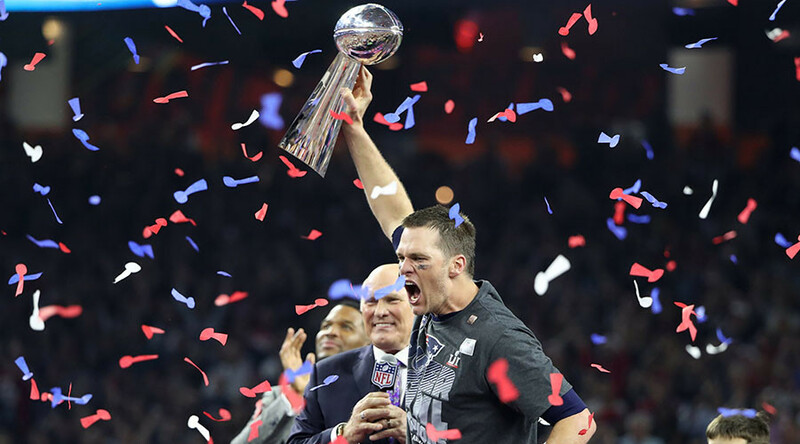 “But I want to say to our fans, our brilliant coaching staff, our amazing players who are so spectacular, this is unequivocally the sweetest I am proud to say, for the fifth time, we are all Patriots. Tonight, for the fifth time, the Patriots are world champions,” he added. There was a star-studded attendance in Houston which included Brazilian football legend Kaká and Tom Brady's model wife Gisele Bündchen. This year's halftime show was performed by pop idol Lady Gaga.